Current president and CEO of the American Beverage Association Susan Neely, shown at left, has been tapped to assume the same titles with the American Council of Life Insurers. Washington, D.C.-based ACLI announced May 17 that Neely will this summer succeed Dirk Kempthorne, who earlier this year announced his intention to step down as president and CEO after eight successful years at the helm of the industry advocacy organization. As president and CEO of ABA, Neely has served as the policy and public education advocate for the non-alcoholic beverage industry for the last 13 years. Prior to her current role, she served as Assistant Secretary for Public Affairs for the U.S. Department of Homeland Security from 2003-2005 and served as a special assistant to President George W. Bush between 2001-2002, where she was one of the architects of the U.S. Department of Homeland Security. 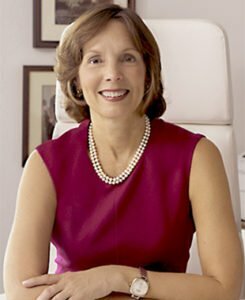 Neely has also served in several senior government and public affairs roles during her career, including at the Association of American Medical Colleges and the Health Insurance Association of America, where she created and oversaw a variety of national, award-winning advocacy programs and initiatives. Neely has been recognized as CEO Update’s 2017 Trade Association CEO of the Year, the TRENDS 2014 Association Executive of the Year, one of Washingtonian’s 100 most powerful women in Washington, and the 2001 Global Citizen of the Year Award from Seton Hall University. She serves on the Board of Directors of the U.S. Chamber of Commerce and chaired the Chamber’s Association Committee of 100, which includes the largest trade associations in America, and is a past chair of the American Society of Association Executives. Neely was the first female president of both the Washington Rotary Club and the University Club of Washington, D.C.
Neely holds a Bachelor of Arts in broadcast journalism and French civilization from the University of Iowa and a Master of Public Administration from Drake University. The American Council of Life Insurers (ACLI) advocates on behalf of approximately 290 member companies dedicated to providing products and services that contribute to consumers’ financial and retirement security. ACLI members represent 95% of industry assets, offering life insurance, annuities, retirement plans, long-term care insurance, disability income insurance, reinsurance, dental and vision and other supplemental benefits. American families rely on these products for protection, long-term savings and a guarantee of lifetime income when it’s time to retire. To learn more, visit acli.com.